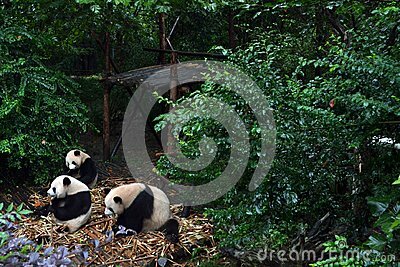 Panda bear: arguably the icon of Chengdu, or even Sichuan Province. Though considered as carnivore, it eats mostly bamboo over 99% of its diet. Pic was taken in Chengdu, September 2017.